No More Marking is a comparative judgement tool that produces an evaluation by consulting experts. These experts will evaluate the work and mark it independently. Once they have judged it, the tool will create a final metric by using their decisions. Speed. You can save around 75% of the time it takes to mark. Reliability. Scripts are shared amongst judges, with each script compared by many judges. A judge cannot be generous or severe. You can measure the consistency of each judge. Meaning. You do not have to define in advance what good looks like. NMM helps you assess open-ended work. Set a task on paper, scan the scripts as pdfs, and upload them. After uploading the scans, you add the email address of your judges. 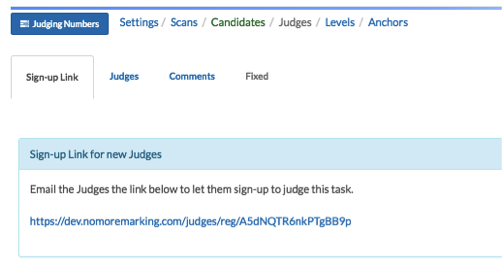 Your email your judges links to judge the work. Your judges decide, for a series of pairs, which of each pair is better according to your question. After a number of judgements NMM creates a scale of best to worst according to your question. Interested in finding out more about No More Marking and how you can use it your class or lecture room? We have completed a pedagogic assessment of this tool which details its strengths and weaknesses based on its potential for innovative teaching strategies. The simplest way to use nomoremarking.com is to judge pdfs that you have already gathered. This guide shows you how to set up a task and get judging. 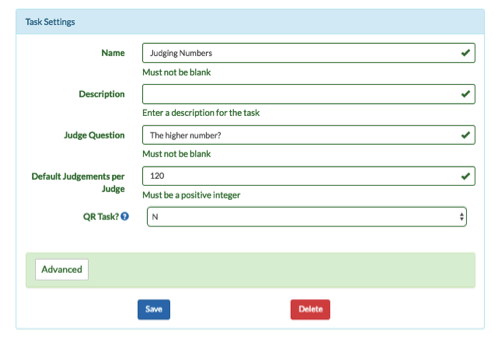 Give the task a name, set a question for your judges and press Save. Click on Scans then Response Uploads. Click on the Choose Files button to choose your scanned images. The scans must be in pdf format. We now convert your pdfs to images. Click on Judges then Sign-up Link. You will see the link you can email to sign up judges. Click on Settings, then General. 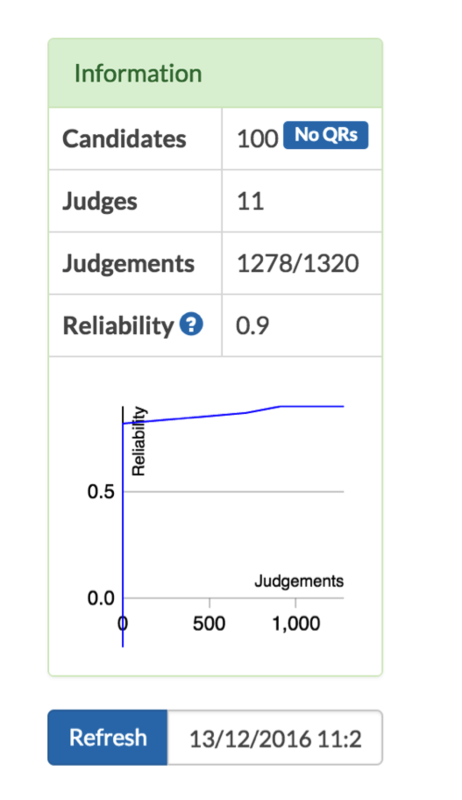 Click on Refresh in the Information panel to view the reliability of your task and update your Candidate scores. 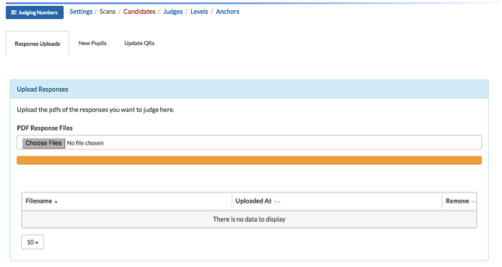 Click on Candidates then View Candidates to get a quick overview of your scores. You can order Candidates by Score to see the best to the worst. Click on the filename link to see the Candidate response. Click on Settings then Download. 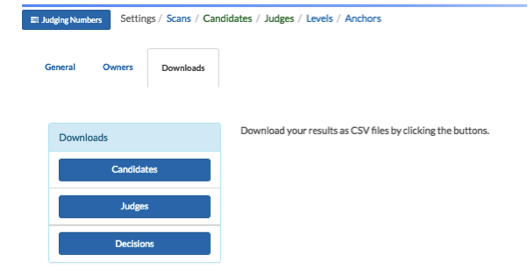 You can download the Candidates, Judges or Decisions files.